ABOUT: A pair of young lovers flee their New England town, which causes a local search party to fan out to find them. LIVE MUSIC: Visit www.streetfoodcinema.com/moonrise-kingdom-la/ for the most current Live Music listing! 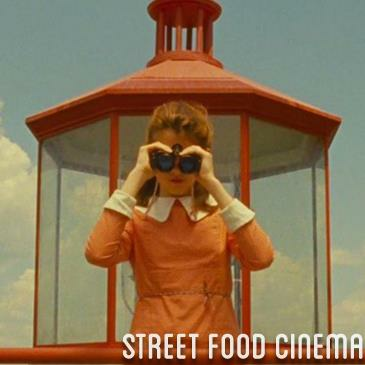 FOOD TRUCKS: Visit www.streetfoodcinema.com/moonrise-kingdom-la/ for the most current Food Truck listing! PARKING: Parking Pass or Drop Off only - due to limited parking at this location. Parking Passes available online ONLY through ticket add-on ($12). Limited quantity. Cars without a parking pass will not be permitted to park. Drop off lane available (e.g. Uber). Parking Lot Entrance is at the intersection of Will Rogers State Park Rd. and Sunset Blvd.